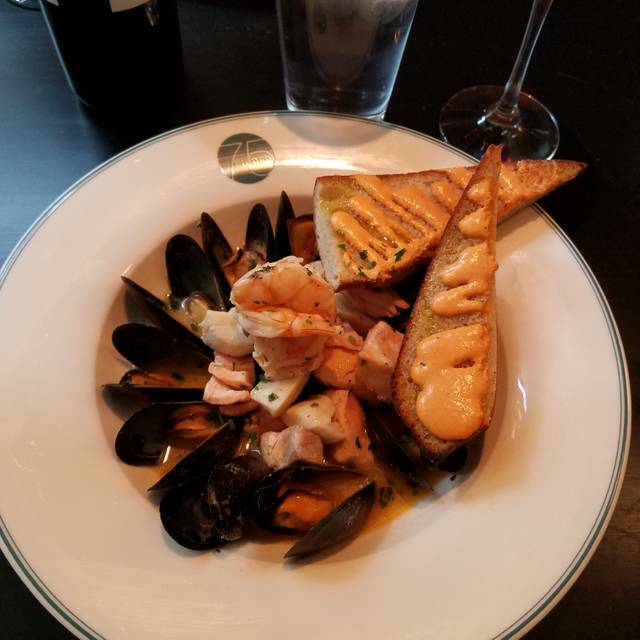 French 75 is Frank Bonanno's French bistro located in the heart of downtown Denver. 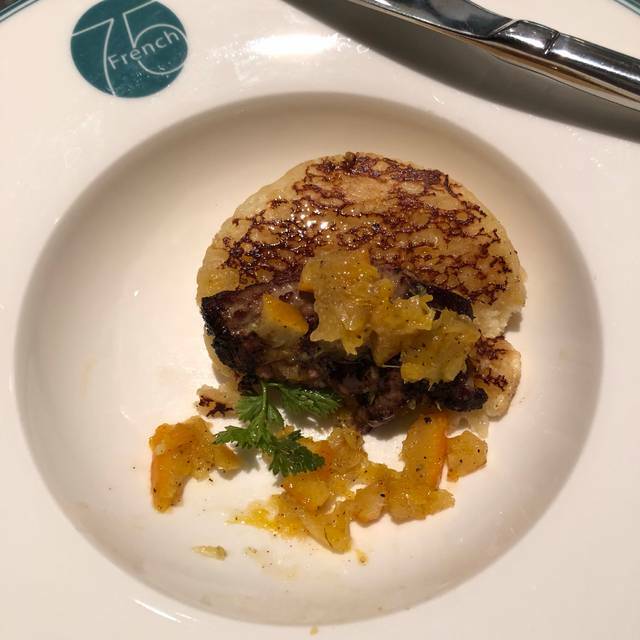 Also known as "Mizuna's little sister", French 75 boasts classic French dishes such as Foie Gras, Duck Confit, Nicoise Salad, Cassoulet, Escargot and more. French wines are available by the bottle or glass and the bar features local spirits, craft beer and cocktails- French 75s included! Happy hour offered Monday - Friday from 3-6pm with wonderful food and drink specials! We started by splitting a Lyonaise salad- delicious! I would come back just for the salad. We had the tea marinated pork chop with a wonderful chutney, and the crab cake sandwich. Our server Josh was very helpful and attentive. All in all a great experience, and we’ll be back. We went on a Tuesday night when it wasn't very busy. Service started off OK when we first sat down but then it deteriorated quickly. The server was MIA for most of the meal...water not refilled, unable to order more drinks, etc. As for the food it showed signs of promise but was not quite there. The tartare was under seasoned and the burgers overcooked, but generally still OK. The ambience is very nice but the music was too loud. I went to French 75 with a few friends to celebrate my engagement. Not only were we welcomed by friendly staff, but our evening was made even more fun by Josh, our fabulous server. The ambiance was perfect for the occasion, and the food was incredible! The foie gras was too small and over cooked. Likely shriveled. I would’ve expected more for $24. The bread and jam it came with were oversized for what I got. Only one unfriendly server for about 8 tables. Salads were good and came out timely, but rest of food took way too long. Profiteroles not up to traditional French style. We had a fairly nice dinner but two of our party got ill from the salmon. Emailed restaurant to let them know but they did not respond. A new direction for one of the very best chefs in Denver. I superb French Bistro. We had a gift card for this place. Bar/kitchen looks French with a zinc topped counter. All the seating we saw was in individual booths. Only people we saw were servers. Good wine list. Burgundy by the glass was excellent. I had the seared Foie Gras. My wife had a small salad. Both were excellent, but the foie gras was a large bite for $24. Smallest portion I have ever seen. I had roast lamb. Wife had pork chop. Pork chop was excellent. 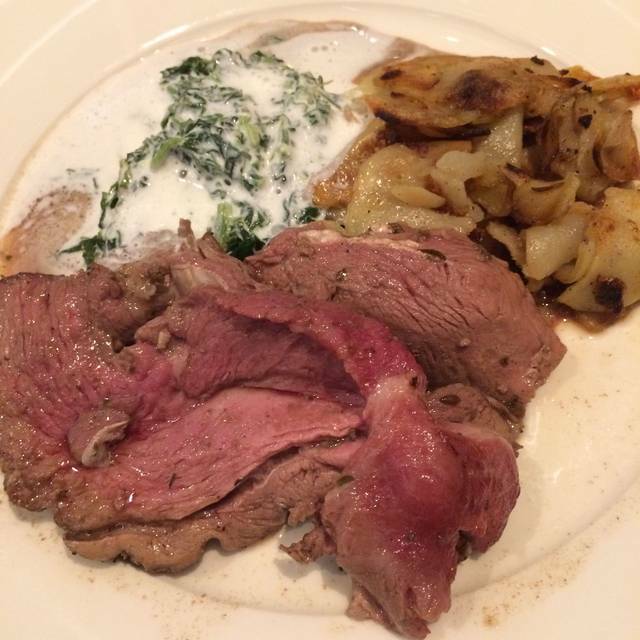 Lamb was unsauced and plain. Sides were good. Service was attentive and helpful. We might come back and try something else. Interesting menu. A true French Bistro! Gracious service and spectacular food. My only criticism is the Macarons were not as fresh as they could be. We will be back. We had a wonderful time at French 75. Food and cocktails were very good, and our waitress, Lisa, was outstanding. We were a large party but she did a great job of taking care of everyone. Also, unlike so many restaurants, level of ambient noise was not bad. Definitely recommend. My wife took me to French75 ahead of a concert. This is Frank Bonano's latest project. The restaurant name refers to a famous cocktail, served to finishers of the Tour de France. They had a 'Two for Tuesday' special - appetizer, soup/salad/entree/wine for $55. The wine (1 bottle, house red) was pretty good. I had the braised short ribs, my wife had the ratatouille. The server was friendly, and comp'd us small French75 cocktails. I took my wife back next week and we got the same waitress, who remembered us. This time I had the salmon, which was done perfectly. Honestly, this is the kind of restaurant I could keep going back to , week after week, because they obviously care a lot about the food they're putting out, and the service couldn't possibly be better. Went with my husband on a date night. The food was wonderful, we split several small plates and a main dish. The service was great, swift, and polite. I really enjoyed my time there! Delicious food options - we had the short ribs and the lamb as entrees. Tried the octopus, some pate, seafood misto as appetizers. Each one was a delicious as the next. Will certainly return to French 75. The staff at French 75 were engaging, informed, and seemed to enjoy all of us. Excellent service! Great food. Will definitely go again. Great food! Truly worth the money. Very noisy, and service was a bit slow. A booth would have been quieter but they are not wheelchair accessible. The noise level and slower service aren’t in line with the price tag. The lobster Mac and cheese did not disappoint! Very Pleasant French Bistro with charming touches. Good food, good service. There is no valet parking which makes it a little inconvenient. We went for after jazz show dinner. The pork belly, escargot, French Onion soup and Nicoise salad were absolutely fabulous! And lots of food! The service was excellent! And the Profiterole topped the evening off perfectly. French 75 has an amazing ambiance with the tall upholstered booths. That’s good is absolutely delicious.Fantastic lunch spot to catch up with a friend! Went for the Tuesday night deal, $55 for two, with appetizer, soup, entree and a bottle of wine. What a deal! all the food was delicious. Julie and Lisa, our two waitpersons, were very friendly and attentive. There was a bit of a lag when we arrived and waited at the table a bit before someone came over, but in total, we found French 75 a treat and will return. The food and service were both great. 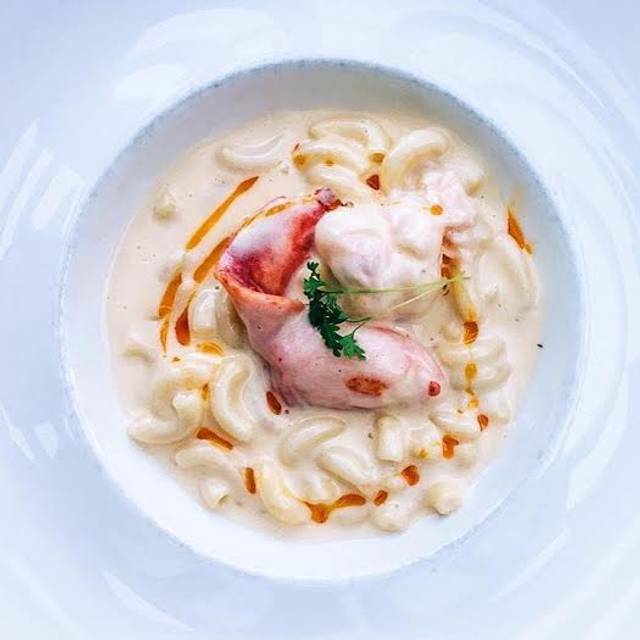 The lobster Mac and cheese was the most special item we tasted. It was creamy and decadent without being overwhelming. The lyoinaisse salad was mediocre. They did not use frisée as advertised, but used arugula which was disappointing. The onion soup gratine was incredible. The seared foie was mediocre. It just lacked flavor. I couldn’t really say what it was that was missing. Overall a great experience and great value. I’m being picky with my criticism. 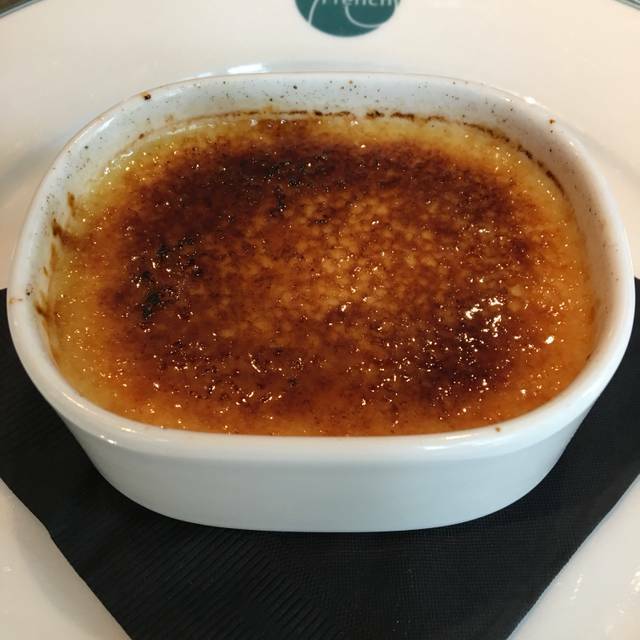 This is a very good restaurant with a nice take on French cuisine. The food and service were excellent. A variety of seating options are available. I recommend choosing an option where you can see the chefs preparing and plating. We attended during restaurant week. 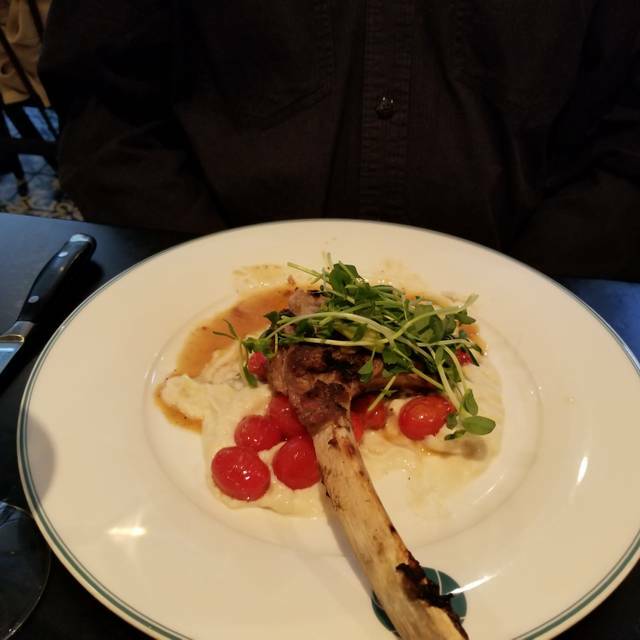 I had lamb shank as my main course. It was cooked properly, but poorly trimmed with a lot of gristle. The greens side was flavorless. The potato side was very good. My wife felt that the salmon dish was prepared properly and flavorful. Restaurant week new find. The service, food and drinks were amazing! I’ll definitely be back to try the happy hour. Went for Denver Restaurant Week for the first time and would definitely come back again. The food was great and the service was really lovely. Their standard booths are very tall and create the perfect intimate dining space so you can actually converse with your dinner dates. We had a great lunch at French 75. We both had the Sea Bass (cooked inside parchment paper). There was a very slight delay but they brought us bread and butter to compensate so that was very considerate. The Sea Bass was wonderful and we split the Apple Caramel tartlet which was very good also. I had a glass of Sauvignon Blanc which was excellent with the Sea Bass. The service was especially good. French 75 has a varied menu and I have never had anything that wasn't wonderful. I recommend this restaurant to friends all the time. Some of the items and drinks are very unique. When you sit at the high top tables you can watch the chefs at work which is always interesting. Service was excellent, our server really knew his wines. 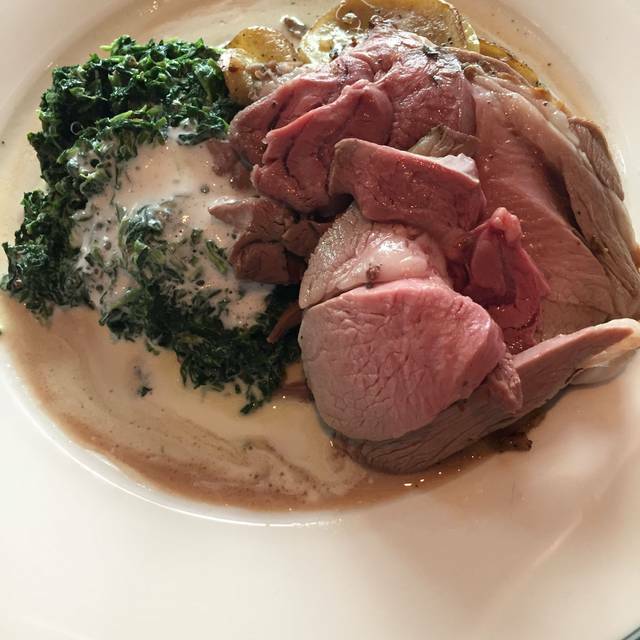 The lamb leg was so-so, maybe I was expecting something more like a rack of lamb so might not have been on the same wave-length. Went for restaurant week. Service was not good- the waiters seemed bothered by us, and went for very long periods without checking in. The food was not even close to as good as previous occasions. The red meat choice for restaurant week was sold out already at 7pm Saturday with no replacement offered. There was no truffle salt on the bread/butter app as advertised. We all added the wine pairing and they were brought out in a weird cadence without Information so we were confused as to what went with what. Seemed like they were unprepared for the evening as a whole. After spending $100 per person on a semi pre-fix menu, I was disappointed. We were not aware of this restaurant until we saw it on the list for restaurant week in Denver. We decided to try it. Will definitely come back again - the food was excellent, the service was great - really enjoyed it. Good food but the noise level was too high, and had the restaurant call ME and confirm seating only to arrive and told it was already reserved, I may be old but when I make reservations two weeks in advance for 6 people I want what I asked for and what you confirm two days before the date; this is not a place I will ever take people again. 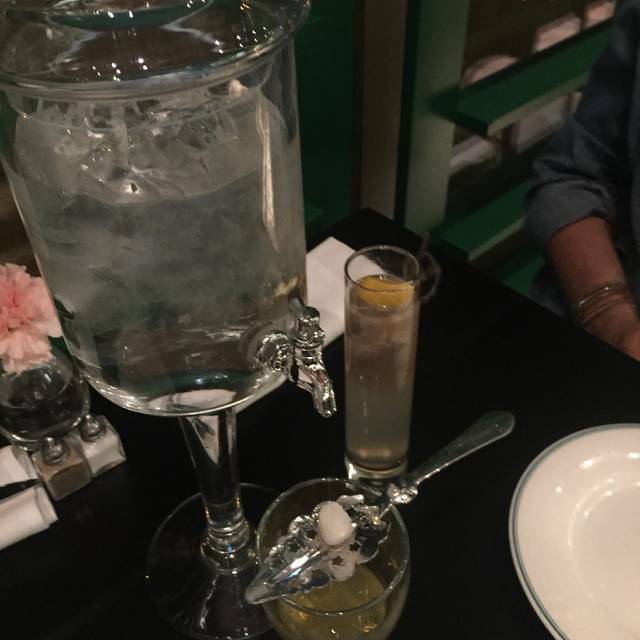 This was our first time to French 75. We go to a lot of Frank Bonanno's restaurants with some frequency and have come to expect good to great food with warm and friendly service. 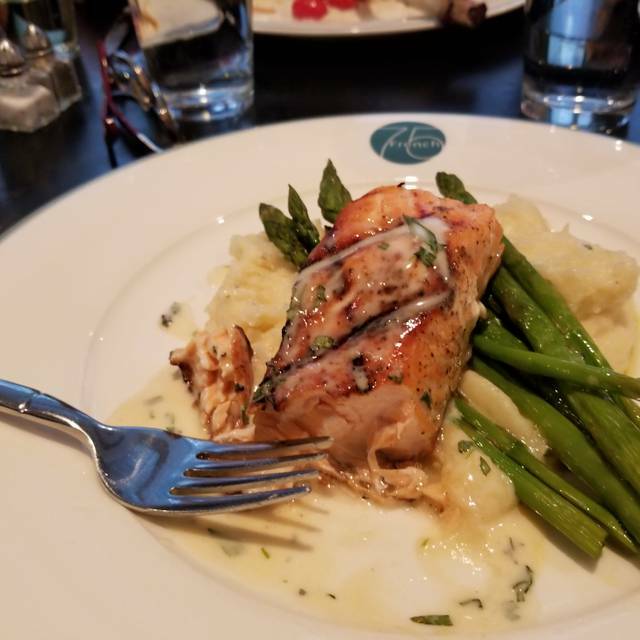 We had a really lovely meal at French 75 (with the very small exception of the stringy asparagus that came with my salmon), however the service was a huge disappointment. Our server wavered somewhere between indifferent and rude. He did his job, but he seemed annoyed to have to do it. He was possibly the least personable waiter we've had. Everyone else in the restaurant was unfailingly nice, friendly, polite, etc, but I felt like I was burdening our server every time I needed anything. We won't be back. Food was very good. Service fell short due to overbooking on Valentine’s Day. There was a bit of a wait because they were behind, but it did not matter because the hostess was working so hard and we appreciated it so much! We got seated and a great high top with view of the kitchen and the service was A++. Made our valentines date very special! Can’t thank them enough. It was packed, but that’s expected on Valentine’s Day. The staff was delightful, especially the host Laura was so sweet and trying her best, even though we were sat past our reservation time, we understood how busy they were. Sad to see so many other patrons feel so entitled that they were so downright rude to the staff, but they all handled it professionally and went above and beyond. Definitely will come back. A very poor experience disappointing. My reservation was 6:30 pm and did not get seated till 6:53 pm. There was a 6-min wait for drink order to be taken once seated. We ordered appetizers and another table's appetizers were delivered to our table without verification; the other table sat an older Caucasian couple. I am Asian and my husband is Pacific Islander. There was a 36-minute wait (from time of order) for our entree to arrive. The server asked me for a drink refill when entree was delivered; I ordered another vodka/OJ. I was informed there was no OJ long after I finished my entree. There was a 15-minute wait between completing our entree and being offered dessert. There was a 23.5-minute wait between time dessert was ordered and arrival at table. My husband ordered the caramel apple tart and the caramel was burnt and bitter. He ordered the steak tartare for an appetizer; he stated he enjoyed it although we waited 30 minutes for that to arrive. We ordered it while at the bar waiting for our table to be ready. It was given after we were seated. (I have exact time frames because I used the timer feature of my phone to time all the factors I mentioned here) He ordered the sea bass for his entree and reported he enjoyed that. I ordered the seared foie gras for my appetizer; it was good although from my perspective, not commensurate with the $24 tag price. I ordered the lobster mac and cheese for my entree and I have had way better versions. Even The Red Lobster restaurant has a better version. I ordered the profiteroles for dessert and it was also okay.